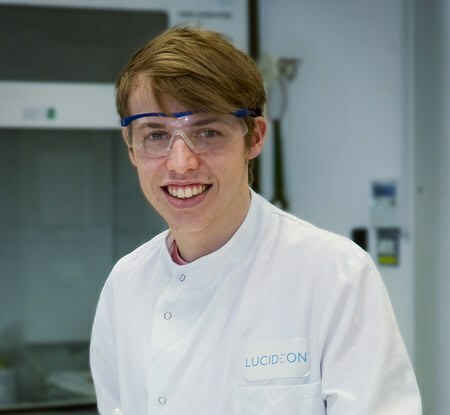 Ben Hadaway, an apprentice in our large testing and analysis team explains why he chose an apprenticeship at Lucideon. "As I was interested in, and good at science subjects, I looked around for a suitable science apprenticeship, and saw the one at Lucideon. It was my ambition to become a scientist in a large, international company; I was delighted when Lucideon offered me the chance to join them. "The training I’ve received has been diverse: I started off training in XRF, physical, organic, inorganic and wear testing, and then did a lot of work on gas chromatography in the organics department. I now switch between inorganics and organics testing. "What I love about my job is that every day is different and there is always a new thing that I can be learning about or training on. We work with so many different industries and clients that there's a huge variety to my work each day. "Once my apprenticeship finishes, I'm hoping to go on and do a degree. "Outside of work I do a lot of scuba diving and I am currently working towards being an instructor."